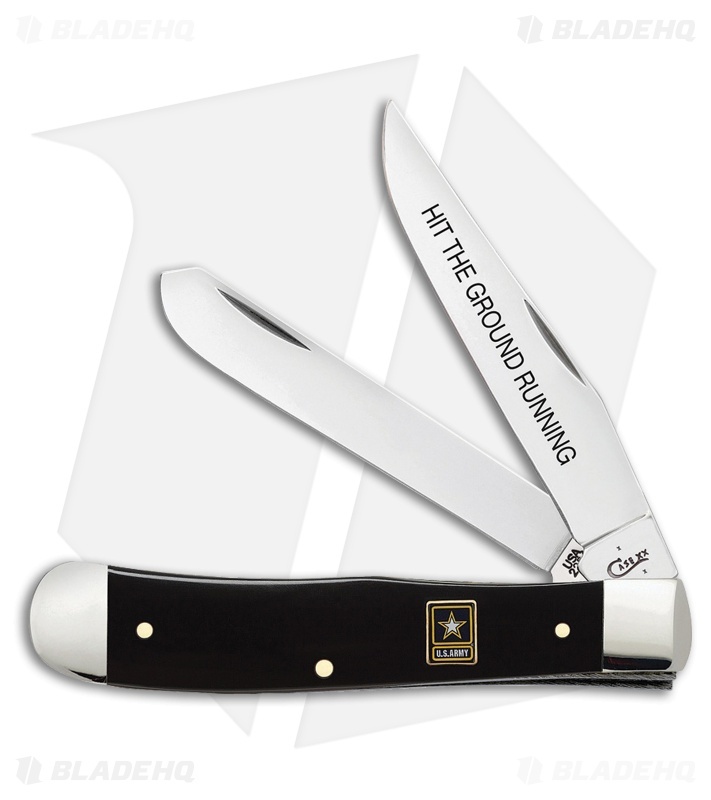 The Case US Army Trapper with black synthetic scales is a great addition to your collection or pocket. Tru-Sharp surgical stainless steel clip point and spey blades provide plenty of versatility for your daily cutting tasks and feature "Hit the Ground Running" etching. Smooth black synthetic scales are embellised with the US Army star logo. Polished nickel silver bolsters with brass pinned construction ensures years of reliable use.